steel - as used throughout the Barton range of blocks. snags and deck damage. Either in stainless steel or soft plastic. Easy-fit stainless steel split rings for use with our clevis pins. Supplied in two sizes and in packs of 10. 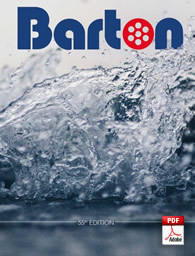 A comprehensive range of plain and ball bearing sheaves as used throughout the complete Barton block range. 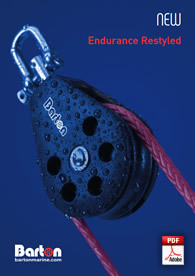 Moulded from acetal resin, our unique, super-low friction ball race system features delrin balls running on a large diameter centre boss, which ensures an extremely low friction performance. 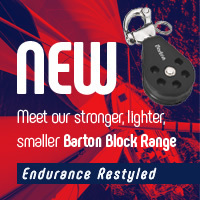 A range of screw pin strip and forged bar shackles in stainless steel - as used throughout the Barton range. Pin diameters up to 8mm available. Pressed stainless steel rigging links with clevis pin and ring. 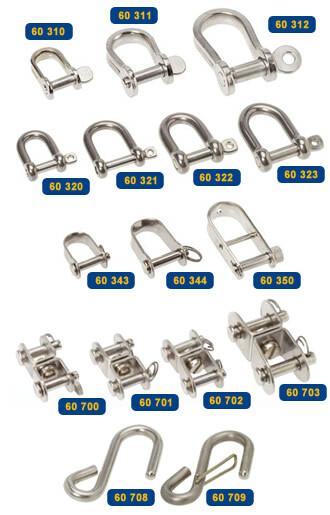 Stainless steel swivels as used throughout our blocks. A handy fitting with a multitude of uses. Manufactured from stainless steel. 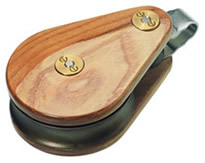 Supplied as either a plain hook or with spring latch fitted.